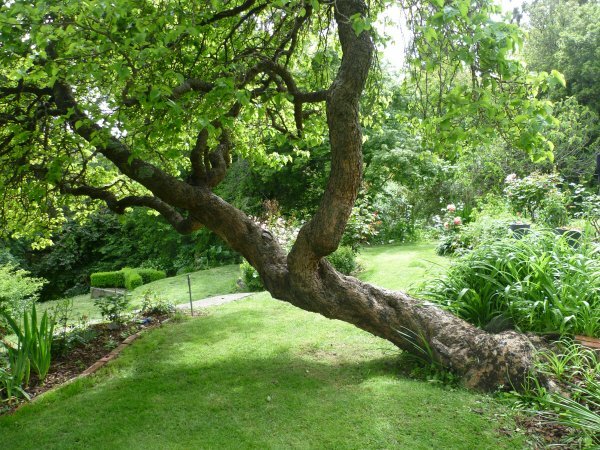 This tree is one of the oldest on the property where Dame Ngaio Marsh lived her entire life. 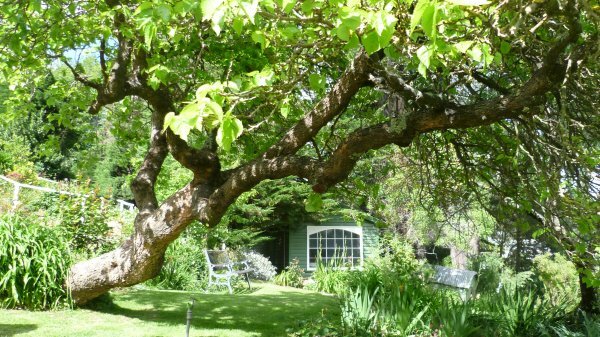 It is an important tree in the historic context of the garden setting, where Ngaio Marsh wrote and was inspired (Hoddinott, W.R 2013). Read about Dame Ngaio Marsh on Wikipedia. “Where any tree or shrub on the property is diseased dead or overcrowded so as to require removal and replacement, the Owner will not undertake such removal or replacement without the prior written consent of the Council. Ref: Trust Deed of the Ngaio Marsh House and Heritage Trust. In good health, but on a significant lean. 08 May 2013 Hoddinott, W.R.